It’s the most wonderful time of year! 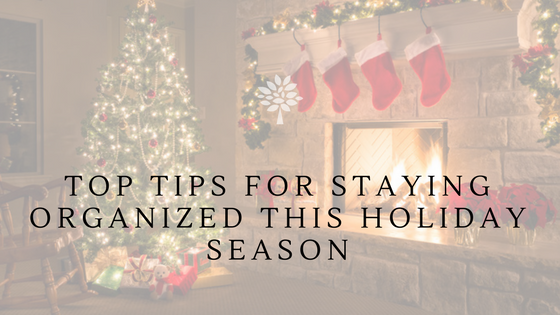 Shopping for loved ones, putting up festive decorations and listening to holiday music are all be a blast- but amidst the hustle and bustle- don’t forget to keep your home organized during the holiday season! Here’s our list of top tips to help you de-clutter before the busy holiday season. Start off the holiday season by going through your family’s clothing, books, electronics and toys. More than likely, there will be dozens of items that are ready to be given away. The holiday season is the season of giving, so find a local place to donate your items that will go to those in need. Once you get rid of some items, you’ll be able to come up with some good gift ideas for your family! Gift wrap, bows, tape, gift bags and tissue paper can end up taking up a lot of room, especially if you’re stocking up for the holidays. 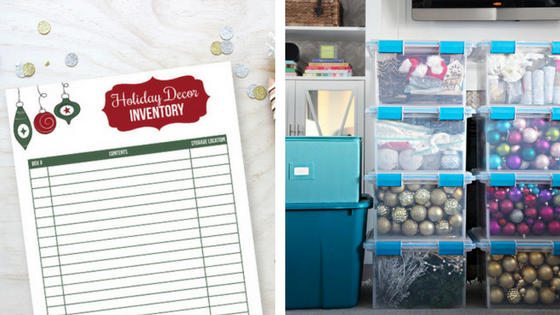 Make a game plan for how you’re going to organize all these items before you start thinking about wrapping gifts. 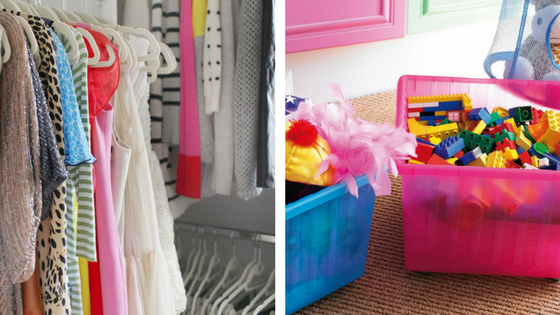 Plastic bins are inexpensive and a great way to store various items. 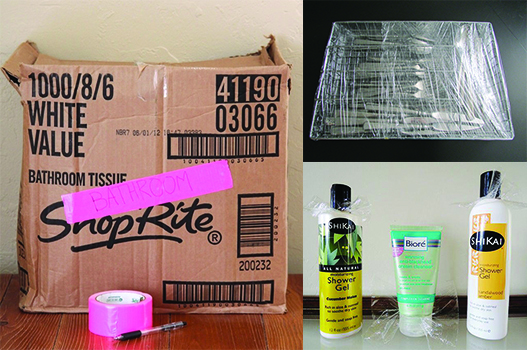 A favorite is the under-the-bed gift wrap bin, so all your gift wrap can stay out of sight, but stay easily accessible! 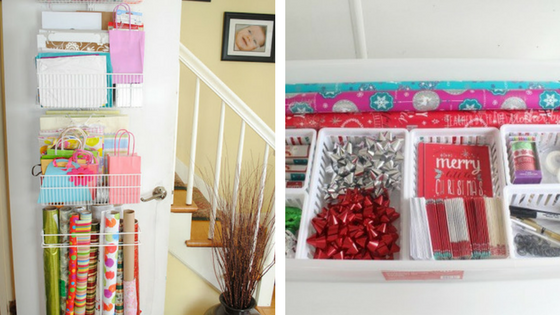 Another storage hack is creating a gift wrap console on the back of a closet doorway or building a crate to keep everything together. If you’re hosting a holiday dinner, or plan on having a party, cleaning out the fridge and pantry is extremely important! You’ll need room for your holiday ham or turkey, sides, beverages and more. Many items get overlooked, so make sure you check the dates on everything in your fridge and pantry, and throw away items accordingly. When cleaning out your fridge, make sure you wipe down all the surfaces so nothing is tainting any food! Keeping track of all your holiday décor may seem like a daunting task, but it can be beyond helpful. 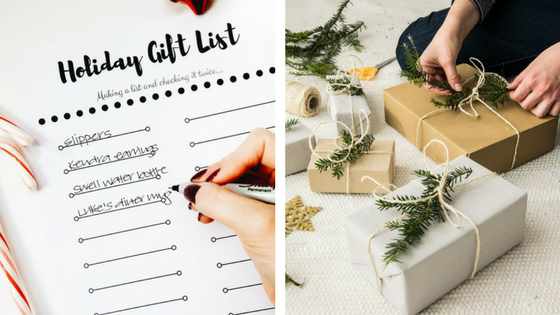 When getting out all your holiday decorations, create a list of all the items you have on hand. You’ll be able to see if you need to purchase any additional items, and when the holiday season is over, you’ll know you took everything down and put it away. Plus if you’re trying to re-organize any bins or boxes you put decorations in, you can pair like items to be put in the same bins to make finding items in the following years simpler. Between holiday parties and events, gift shopping and family time- it’s easy to get caught up and forget to do simple house cleaning chores. 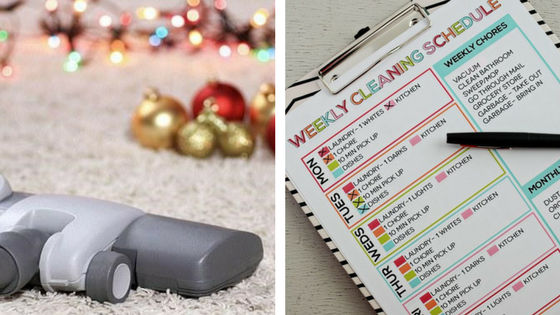 A way to avoid getting stuck with a ton of cleaning at the end of the holidays is by creating a weekly cleaning list. Focus on separate areas each day, like the kitchen or dining room, but don’t overwhelm yourself. You’ll also want to add some new items to the list- like sweeping under the Christmas tree or dusting holiday decorations. At the beginning of the holiday season, start to map out who you’re buying for, with any ideas of what to get them. This will help you avoid missing any important person, or panicking at the last minute to find something they’ll love. Take the time to check out sales and see the best price you can get for some of your ideas. Another great way to stay on top of gift giving is wrapping gifts as you go. 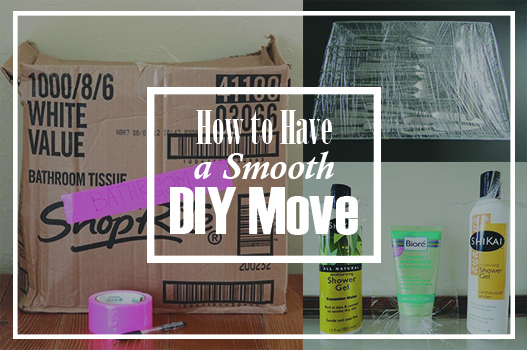 Create a gift wrapping area and wrap a few gifts at a time versus everything at once. This will help save room, as you won’t have to hide as many gifts under beds or in closets, and can distribute accordingly. 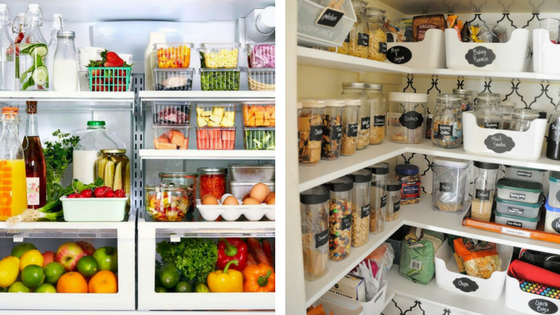 These tips are just a few ways to ensure you’ll head into the new year in a more organized way! Do you have an overload of holiday decorations? Self Storage is an easy solution to help store your belongings!